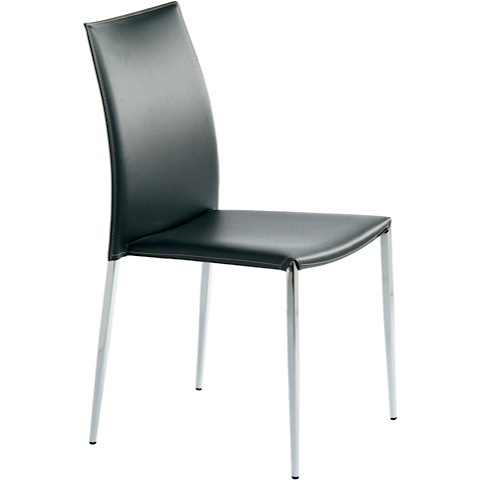 The durable and stackable Eisner Dining Chair is as stylish as it is practical. 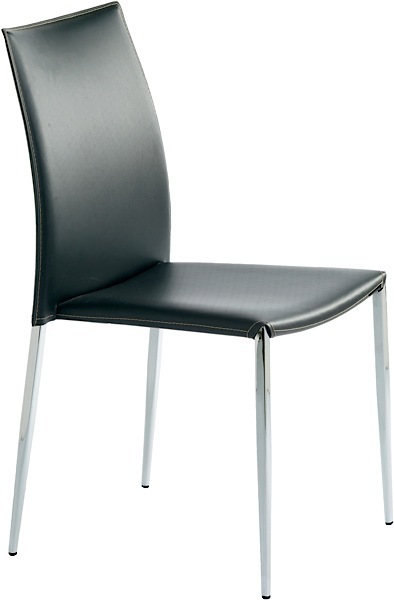 Eisner's high-polish chromed steel frame supports the seat and is made with CFS foam and covered in black or white 100% top-grain leather. Seat height of 18". Eisner is commercial rated so it goes just as well in a restaurant, hotel, or bar as it does your modern residential interior.